Men’s Multi Essentials has been designed to support men’s overall health and wellbeing including muscle function, energy production and male fertility using superior, body-ready and active forms of vitamins. 28 different vitamins and minerals. 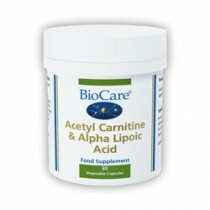 Contains significantly higher levels of vitamins B, C, D, E and K than competitors. Contains choline (not present in competitor’s men’s multivitamins). 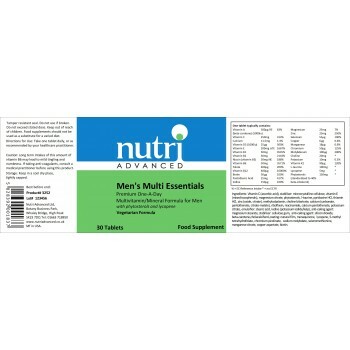 Why Choose Nutri Advanced Men’s Multi Essentials? 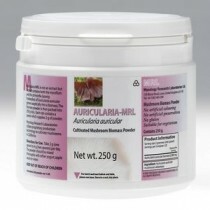 • Wider range of minerals and vitamins than competitors. 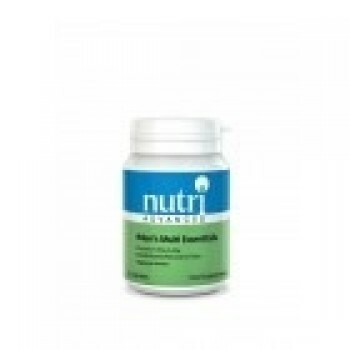 • Higher concentrations of key vitamins and minerals. 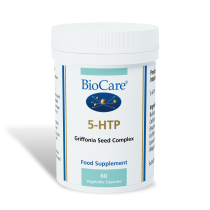 • Uses body-ready, preferred and active vitamin forms which are more efficacious than cheaper forms. Including high levels of nutrients has resulted in high levels of nutrients has resulted in a larger tablet size than most other multivitamins. 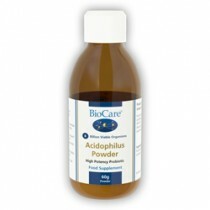 If taking anti-coagulants, consult a medical practitioner before using this product.